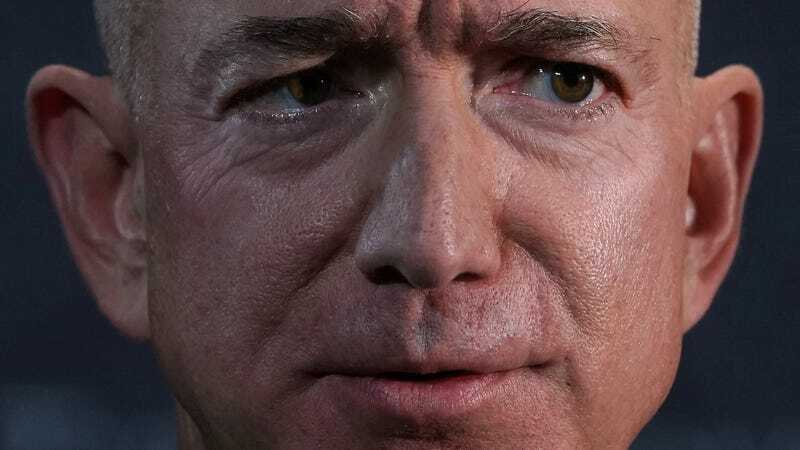 According to the Daily Beast’s sources, Bezos’ investigators are intrigued by the obvious connection that the Enquirer’s chief executive David Pecker has been a long-time friend of Trump’s. But they also are suspicious of the time and resources that the Enquirer devoted to uncovering Bezos’ alleged affair. From one perspective, that’s about as big as tabloid stories get, so of course, the Enquirer would want it. But from a different perspective, tabloids don’t regularly spend months plowing money into stalking a subject for a single scoop. We asked Amazon for comment on this story but did not receive a reply. Specifically, we asked if Bezos is using any of Amazon’s resources in his hunt for the leakers. Surely, this is a situation in which Bezos would want to use every tool at his disposal, and maybe even bend his ethical boundaries a bit. At the same time, it’s also terrifying that the richest man on the planet is just as screwed as all of us when it comes to protecting his privacy.